FacilitiesOYO 13766 Meera Vatika is located strategically in Mahabaleshwar to offer you the best services and comfort at affordable rates. The hospitable and friendly staff of OYO ensures your stay is pleasant.Facilities Complimentary Breakfast, In-house Restaurant, Parking Facility and more are equipped in our property. The hotel provides facilities like fire safety, first aid and round the clock security for the guests security. 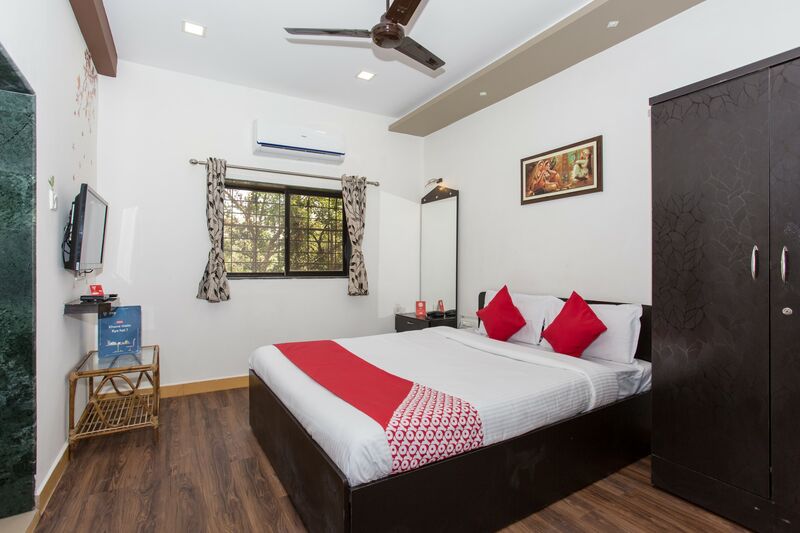 To provide further assistance to our guests, we have a 24-hour helpdesk on our property.What's Nearby Head out to visit the key attractions of Mahabaleshwar like Holy Cross Church, Mahavir Swami Jain Temple and Dhobi Waterfall. Need cash There is SBI ATM, CDM, IDBDI ATM and SBI ATM nearby this property.